What will You Do on Holiday? 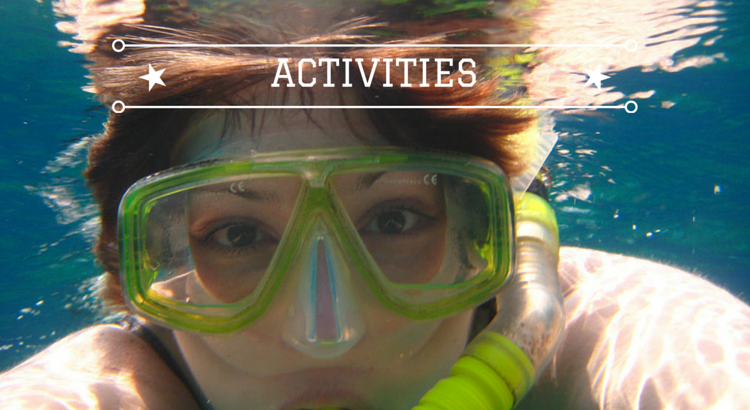 Koh Chang has surprisingly lots of activities to offer. While the most popular is definitely lounging on the beach you can do so much more here. How about trekking through the dense jungle, along waterfalls and hidden paths to the summit of Koh Chang’s tallest peak? More creative? Why not learning how to cook lip-smacking Thai food? Maybe you just need to disconnect and unwind from your busy life – we show you how and where. You see, Koh Chang is not your typical island where everything is just about the beach. Its unique landscape, magnificent marine life and close proximity to surrounding islands, offers for everyone a great range of activities. Keeping in mind that you may want to explore the island on your own, you can easily do most of the things without booking an arranged tour. Have you always wanted to become a certified diver? Look no further, you came to the right place! With two ship wrecks, several nearby islands, a beautiful coral reef, various rocks and an abundance of fishes, Koh Chang’s magnificent marine world is ready to get explored. A series of dive schools scattered along the west coast offers a good range of courses and trips. The PADI Open Water Diver, the most popular certification for newbies, starts from 14,500 THB while dive trips start from 2,900 THB. Advanced specialty courses like Rescue Diver or Dive Master are also available. Koh Chang’s hot spot for divers is Bang Bao a picturesque bay in the southwest which serves also as exit point for trips to other islands like Koh Mak or Koh Rang. Diving is possible throughout the year, however, November until May is the best time for a calm sea and great visibility. If you prefer snorkelling over diving, there are daily trips to great snorkel-sites around Koh Chang. Snorkelling gear can be rented from dive school and most hotels. 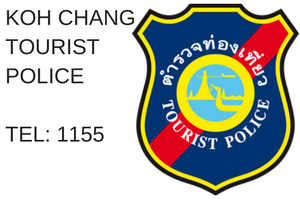 Klong Jao Leuam Waterfall – Reachable from White Sands Beach past Ban Kwan Chang elephant camp. No entry fee. Klong Neung Waterfall – The island’s tallest waterfall but hard to reach.Located in Salak Phet. No entry fee. Klong Nonsi Waterfall: Easily accessible via a paved road at the rear of the local government offices in Dan Mai. Two easily accessible levels plus a hidden third level. Free entry. Kai Bae Waterfall – Follow the track inland from Kai Bae Meechai elephant camp. You’ll see some handwritten signs for a very nice waterfall hidden in the jungle. Free entry but the owner of nearby land might ask for 20 Baht or so to allow you to cross their land. Khiriphet Waterfall – Another free waterfall. Located in the south-east of the island. A great spot to swim and rarely gets busy. Trekking on Koh Chang is ideal for young and old as most treks are not too demanding. Small tour operators offer treks around waterfalls and to the two tallest peaks JomPrasat in the northwest (630m) and SalakPhet in the south (744m). Special tours for bird watching are also available. Featuring several heart-racing zip-lines, adventure courses, swings and canopy walks, the Tree Top Adventure Park Koh Chang offers a fantastic mix of action-fueled activities for adventure lovers. The east coast of Koh Chang is the exact opposite of its western counterpart: while the west is well-developed and lively, the east is laid-back and widely untouched. Home to numerous fishing villages and small towns, the east is the right place if you’re seeking tranquillity and serene beaches. Start exploring the east coast simply by turning left after arriving at the pier and follow the main road, or, in case what most visitors do, spend a few days at the west coast (Lonely Beach is a great exit point) and then start from here. The coastal road leads along countless kilometres of lonely beaches on one side and dense mangrove forests on the other. Immerse to the awe-inspiring nature of SalakKok Bay by wandering along the breathtaking Mangrove Walkway which even has an observation tower. Next stop will be Than Mayom on the central east coast: by driving shortly inland you will reach the four-tired Than Mayom Waterfall which is often described as Koh Chang’s most stunning waterfall. North of Than Mayom lies Dan Mai, the last town before you reach the ferry pier again. Dan Mai is the island’s administrative centre and primarily home to government buildings; its main draw, however, is a charming village with a series of old local houses, a small Chinese temple and some great seafood restaurants. Encountering these gentle giants in their natural habitat is truly an amazing experience. Ever since the elephant has been known as culturally important to Thailand and can even be seen on logos and on the coat of arms of various cities and provinces. While Koh Chang literally translates to ‘Elephant Island’, the name actually refers to the island’s shape rather than parades of elephants roaming the jungle. There are currently six elephant camps, located inland on the west coast, offering a mix of activities like trekking, feeding, bathing and training certain skills. 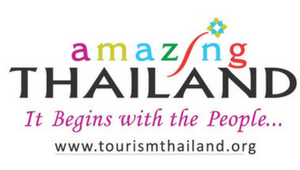 Treks through the jungle last 1-2 hours and start from 850 THB – 1,300 THB. Ideal elephant camps should provide a healthy balance between you, the visitor, and the needs of the elephants. Make sure to research the right camp before you go. If you’re seeking a more educational experience consider visiting the Elephant Nature Park in Chiang Mai, a large rescue and rehabilitation centre in northern Thailand. Here you can interact peacefully with elephants, learn about their behaviours and how to take care. White Sand Beach tends to be busy, it is better to opting for a quieter place further south like Chai Chet, Bailan Bay or Bang Bao. Here you can immerse to nature, listen to the sound of roaring waves and sink your toes in fine sand for an undisturbed walk on the beach. Switch off your phone or laptop and stop checking emails. Instead, walk outdoors and focus on nature. 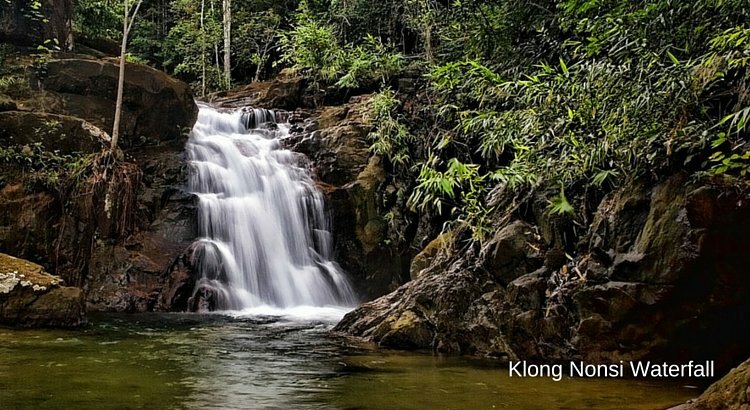 Take your camera with you and start capturing Koh Chang’s beautiful landscapes. Chances are high that your accommodation offers massages but even if not, spas of all sizes are everywhere available. The traditional Thai massage is the most common treatment here and known to enhance relaxation, ease pain and boost energy. Prices start from 250 THB per hour. What would be more fun than spending a day learning how to create some of Thailand’s best dishes? Discovering a nation’s culinary highlights is among the best ways to get to know a new culture in a fun and playful way. Sure, you can, of course, go to the next restaurant and sample whatever is mentioned on the menu, but here’s the truth: many restaurants around popular tourism areas adjust their taste according to –mostly- western standards. In other words, the dishes lose authenticity and taste more like those served at your favourite Thai bistro back home. Might be good or bad, but honestly, why wouldn’t you try a freshly made Som Tam which causes a firework of flavours in your mouth? Just imagine the incredible blend of freshly shredded papaya, sliced tomatoes, a good dash of chilli and crunchy peanuts? Now picture yourself preparing the best of Thai cuisine in your own four walls! Cooking classes start often in the morning with a visit to a local market. You’ll browse through an abundance of fresh vegetables, spices, herbs and fruits and learn what combinations make up the best taste. The rest of the day will be spent at the restaurant where you create some of Thailand’s most popular dishes like Tom Yum Soup (shrimp soup), GaengKiaw Wan (green chicken curry) or the aforementioned Som Tam, a refreshing green papaya salad. At the end of the day, you will dine with the other attendees, share your experiences and get the recipes. Once back home, you’re ready to surprise your family and friends with an original Thai-style dinner! Boat trips to the surrounding islands of Koh Chang are among the most popular activities. Renowned for their unusual and spectacular scenery, these islands offer a mix of idyllic beaches, fertile mangroves and thick jungles. The tour styles vary and depending on your personal choices and budget. The easiest way to get around the islands is attending a snorkel tour. Most trips last a full day and include 3-4 stops in front of different islands. While you won’t have the time to explore these islands further inland you can still swim to the beach for a relaxing sun tan (from 600 THB). Kayaking is the adventurous option to explore the surrounding islands of Koh Chang. Many hotels have kayaks for rent (from 300 THB) while travel offices and water sports shops offer a good range of half day and full day tours (from 1,000 THB). Looking for something different? Try sailing! Sailing around the archipelago gives you the freedom to set and follow our own itinerary. Unlike many other southern islands, you’re most likely alone or just with a hand full of other yachts around. You can either drive yourself or hire a full crew including personal chef. Gulf Charters and AV Ocean are two recommended companies that offer daily and weekly charters. 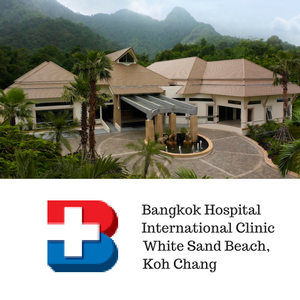 There are many activities, trips and tours available to visitors to Koh Chang. We’ve just mentioned a few of the highlights here. But rest assured, you’ll find there’s something to keep everyone occupied on holiday. for everyone.